Many discoveries now revolutionizing the prevention and treatment of cancer can be traced back to Dartmouth—including immunotherapies for solid tumors, the integration of palliative care with cancer care, and the identification of cancer risks from environmental toxins and behaviors. At the Geisel School of Medicine at Dartmouth’s annual Class Day ceremony on June 2, faculty, staff, students, and families celebrated the accomplishments of 77 new graduates of the school’s MD program. The Geisel School of Medicine has launched a $250 million fundraising campaign as part of Dartmouth’s institution-wide campaign. 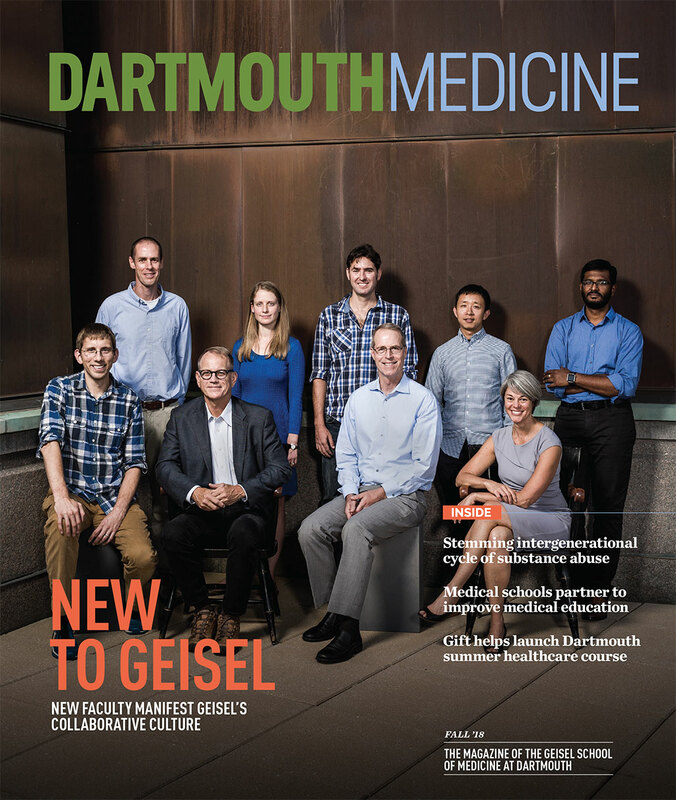 Interaction: The Campaign for Dartmouth Medicine will amplify the medical school’s academic vitality and global impact, elevating Geisel’s stature as a community of scholars and learners with an outsized influence in forging new solutions and leading improvements in healthcare. Partnering with Dartmouth-Hitchcock Medical Center and Upper Valley Ambulance, second-year Geisel medical students Nick Valentini ’20 and Karissa LeClair ’20, created a novel solution to meeting the healthcare needs of rural patients. First-year Geisel student Lindsay Holdcroft has been coaching youth girls’ hockey since finishing her career as a standout goalie for the Big Green in 2014. “It’s been a lot of fun teaching them skills and seeing them improve, and it’s been rewarding to see them develop and gain confidence in themselves, both on and off the ice,” she says. On Match Day, fourth-year students at the Geisel School of Medicine joined thousands of fellow medical students across the U.S. as they discovered where they will start their residency training after graduation.